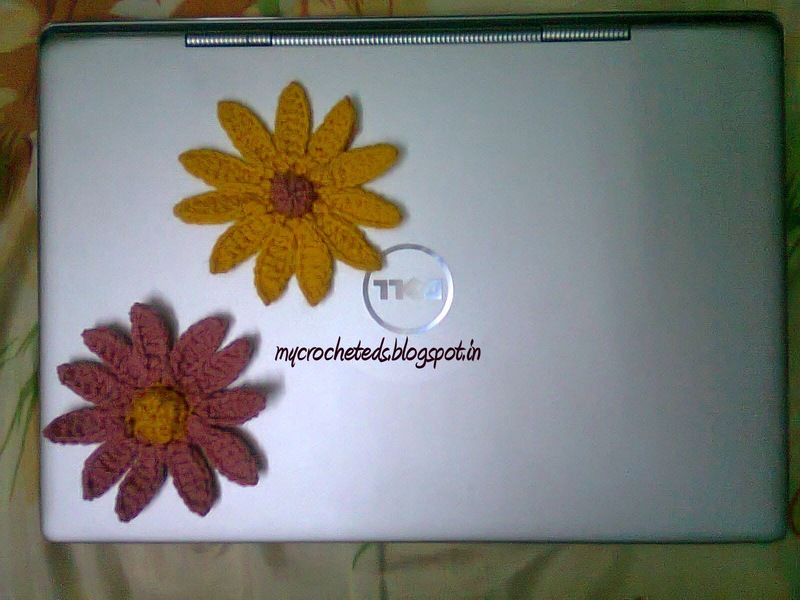 I dont simply followed the pattern blindly.. 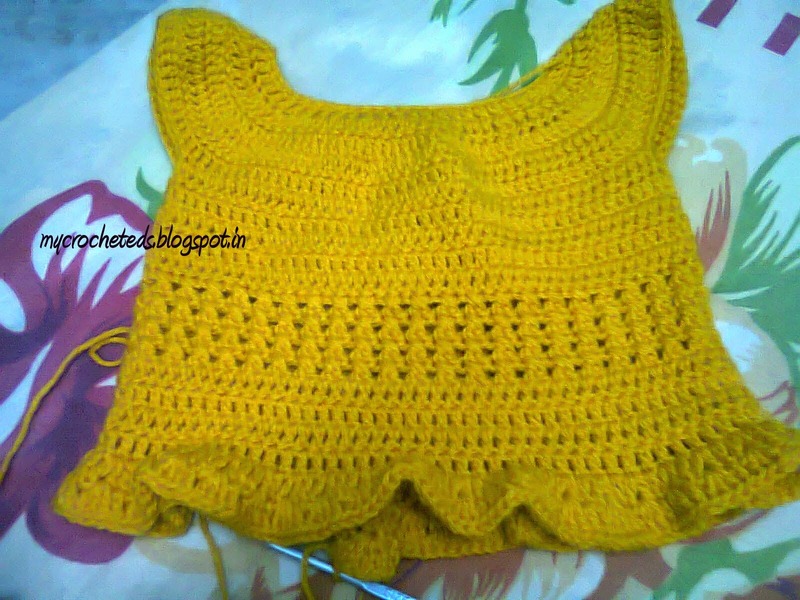 I dont like the same double crochet work done all around, So i did 4 rows of Cross stitch at the centre of the chest. 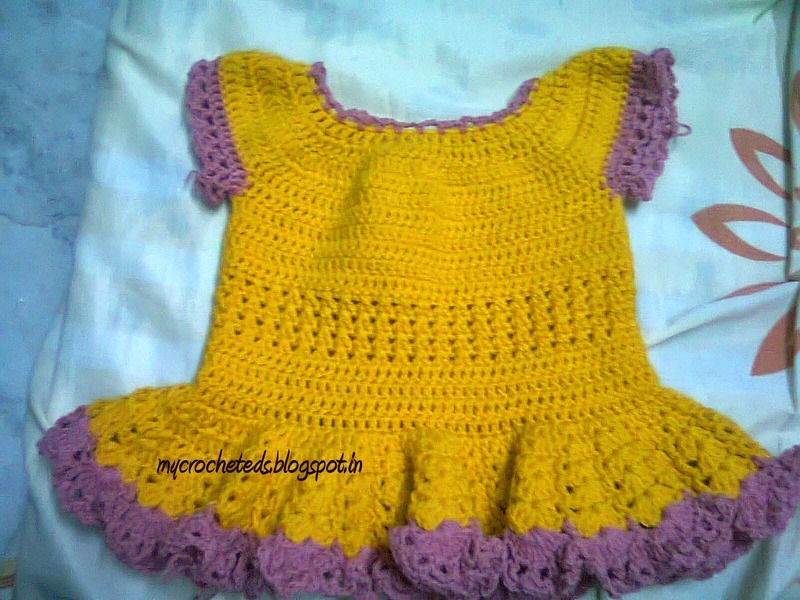 The frock is not yet finished now.. You can see the beautiful frills made with the shell stitch. 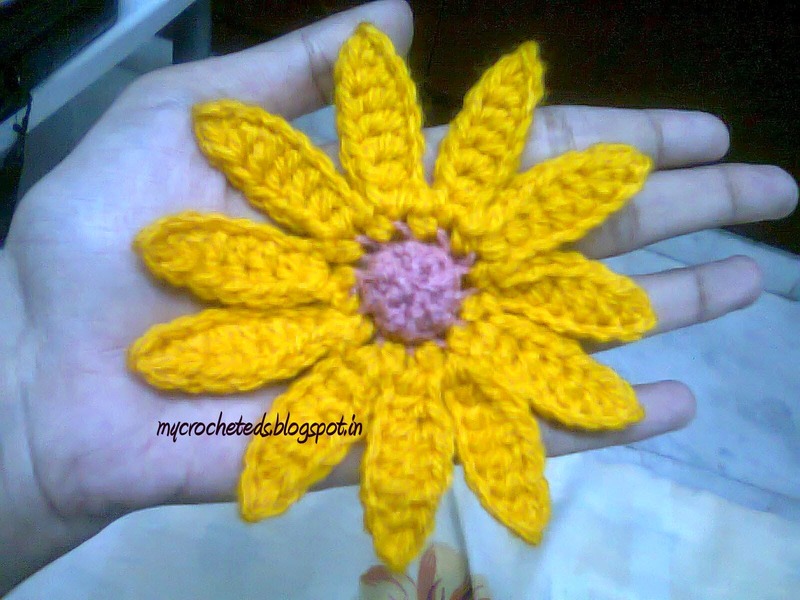 Now the neck and hand part were made.. Only thing left is attaching the flower in it.. 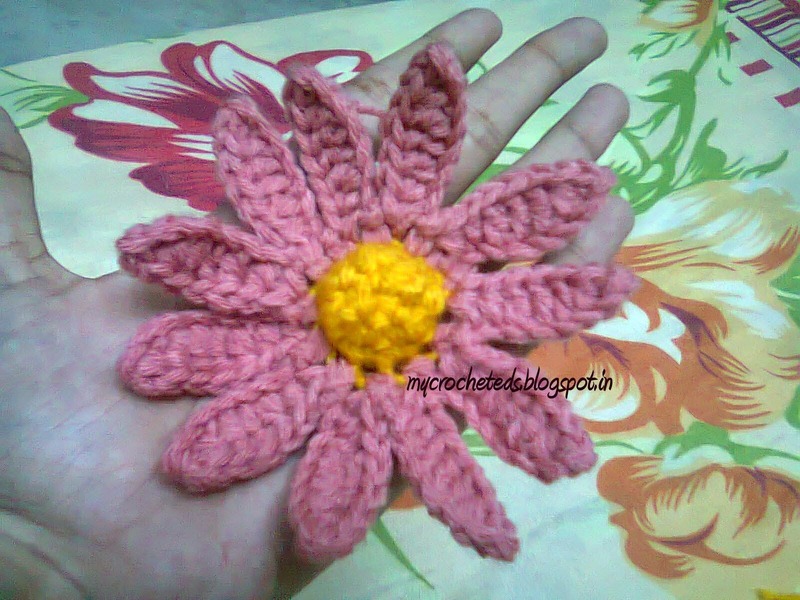 The flowers were made in a contrast colors for both attaching in the frock and for the headband. 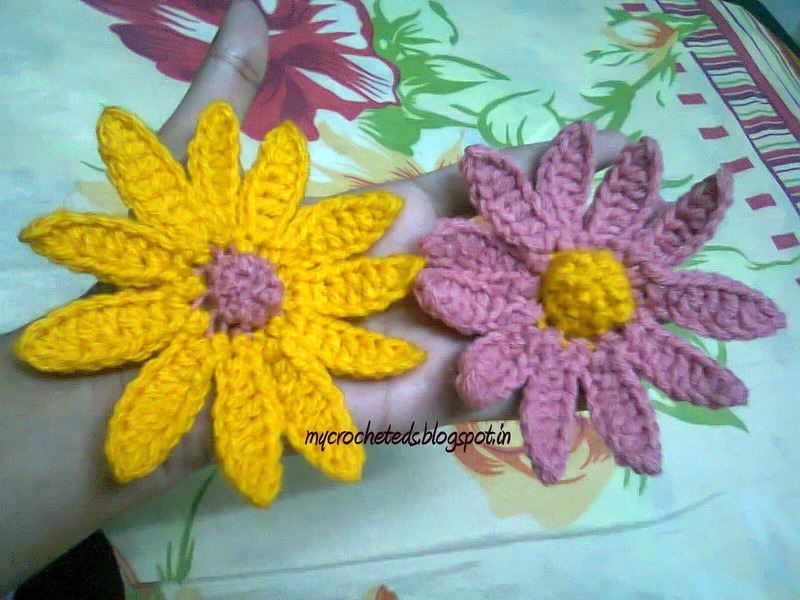 You can get this daisy flower pattern here.. You have to stitch the flower in the frock , so dont block that flower.. Block only the flower you are going to place in the headband. 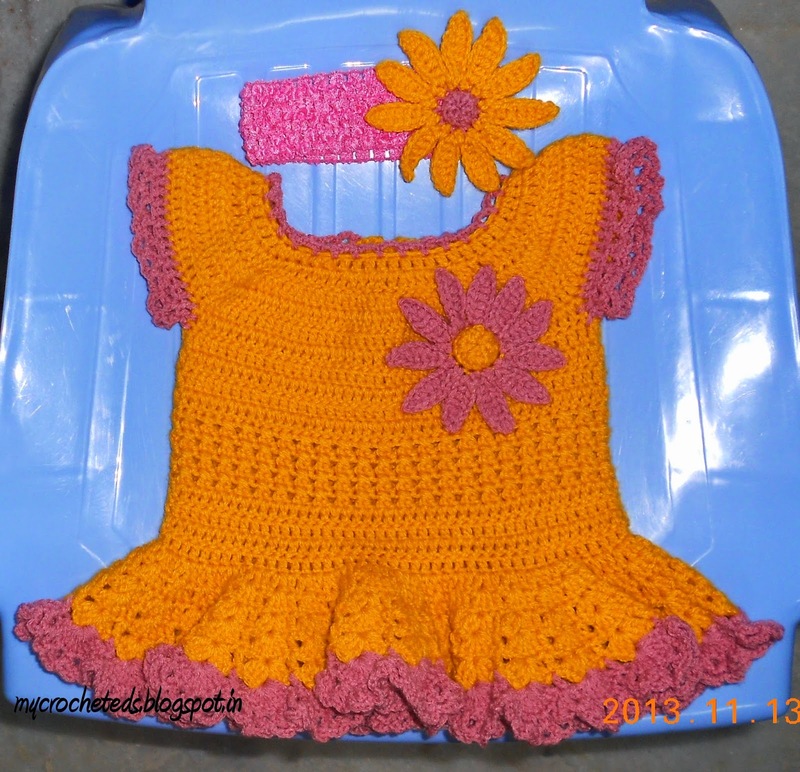 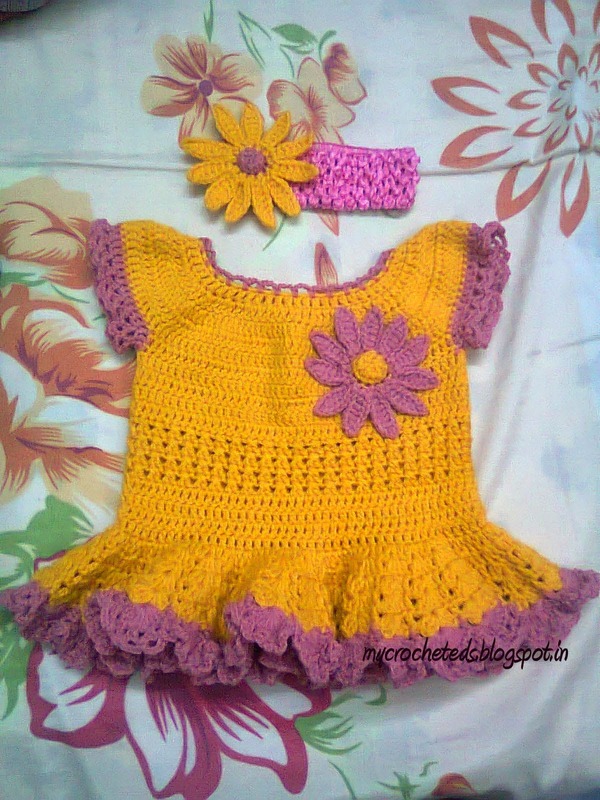 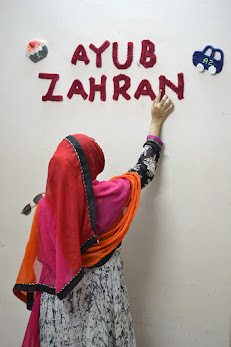 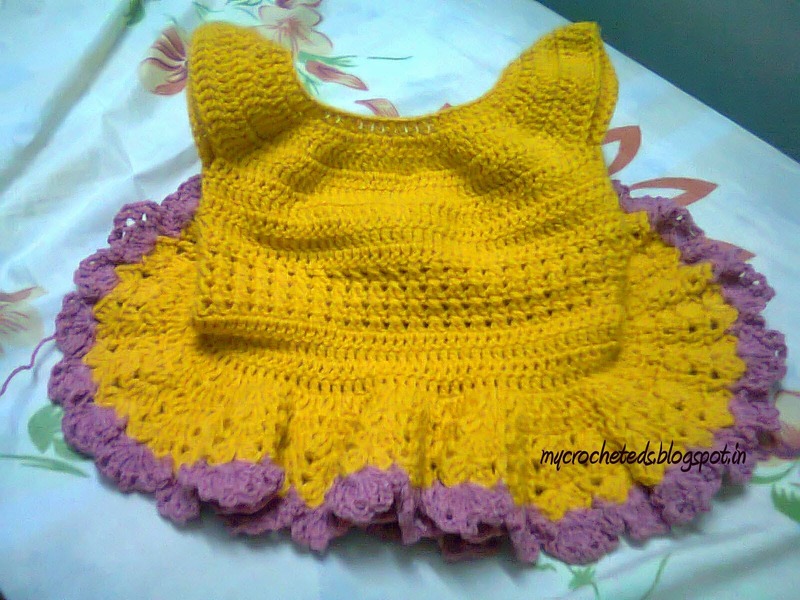 Now the frock got crocheted fully with the flower attached to it.. You can make this for your kids or for your relative's kids.. Its one of the best gifts to express your love to your beloveds.. Hope you enjoy seeing my work.. You can get this frock pattern here..